This is a moment that worth recording down. Thanks & Congrats to our Singapore Table-tennis Girls for scoring a Silver Medal in the Table-tennis Competition. Even though they are not the Pioneers that scored in Olympics Game but at least this will be a Historical Record in our Sports History. Million Thanks to them and remember to Celebrate for this Victory. Yusof Bin Ishak, also known as Yusof Ishak, the First President of Singapore. Yusof Ishak was born in the year 1910 in Padang Gajah, Perak. Yusof Ishak was rose in a humble beginning and soon became the 1st Malayan-born Yang Di-Pertuan Negara (Head of State) on 3 December 1959. In year 1965, 9th of August, Yusof Ishak became the First President of Singapore. 11 years of being a Head of State, Yusof Ishak dedicated himself to the nation and the people by providing them the moral courage, showing the effective leadership during the early years of Nation building. During the last term being a President, Yusof Ishak was often ill, but this didn’t stopped him from assisting the people who in need of help. 23 November 1970, Yusof Ishak passed away from heart failure, with an age of 60. With Mr Yusof Ishak's determination, Singapore is able to move out from a period of difficulties and worries. With Mr Yusof Ishak's leading, the citizens are able to lead a better life. With respect to Mr Yusof Ishak. Benjamin Henry Sheares, also known as Benjamin Sheares, the 2nd President of Singapore. Benjamin Sheares was born in 1907 in Singapore. Race of an Eurasian. Before Benjamin Sheares accepted his post as the 2nd President of Singapore, he was an Obstetrician (surgical specialty dealing with the care of a woman and her offspring during pregnancy) at Kandang Kerbau Hospital (KK) and also a Professor at the University of Malaya. At the same period, he was also being appointed as the First Chancellor of the National University of Singapore (NUS). In 1971, Benjamin Sheares succeeded as the 2nd President of Singapore from Yusof bin Ishak. As to memory this 2nd President of Singapore, a bridge connecting Changi Airport in the east and Shenton Way was named after him as Benjamin Sheares Bridge in the year 1981. In May 1981, Benjamin Sheares passed away with an age of 74. Chengara Veetil Devan Nair also known as Devan Nair or C. V. Devan Nair, the 3rd President of Singapore (Presidency Period from Oct 1981 – Mar 1985). Devan Nair was born in Malacca, Malaysia in the year 1925. When he was 10, his family moved to Singapore. After settling down in Singapore, Devan Nair enrolled into Rangoon Road Primary School for his young education. In 1954, Devan Nair joined Lee Kuan Yew’s People’s Action Party (PAP) after leaving Communist Anti-British League. In 1964, Devan Nair won the Malaysian Grand Election in the Bangsar constituency somewhere around Kuala Lumpur. After Singapore separated from Malaysia, Devan Nair continued to stay in Malaysia. 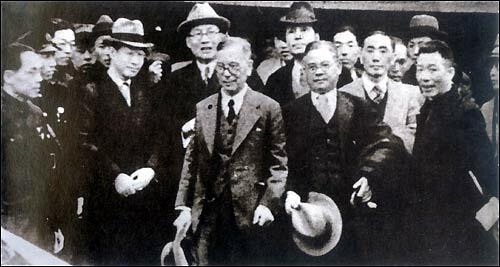 During his stay, he formed the Democratic Action Party but soon after, he returned back to Singapore to lead the Labour Union Movement. At the same period, he founded National Trades Union Congress. In 1979, he won the Anson seat during the elections and accepted the appointment as a President of Singapore in year 1981. Upon accepting the appointment, Devan Nair became the 3rd President of Singapore. In 1985, Devan Nair resigned from his position as a President of Singapore. In 1995, Devan Nair moved to Canada with his wife, Avadai Dhanam. April 2005, Mrs Devan (1925 - 2005) passed away leaving Devan Nair alone in Canada. In the same year, December, Devan Nair passed away with an age of 82. On the month of Mr Devan Nair vowed to be the 3rd President of Singapore, Little Jave was born. In Little Jave's memory, impression on Mr Devan Nair is limited. Wanted to find out more on him, but too late, he had left us. To Mr Devan Nair's contributions to Singapore, Little Jave send upon his respect. Wee Kim Wee, was born in 1915, in Singapore. He was rose from a humble station in life, whose father (Wee Choong Lay) was just a low-paid clerk. At the age of 8, Wee Kim Wee’s father passed away.After growing up, Wee Kim Wee started as a clerk in The Straits Time. 1944, he joined the United Press Association and was its Chief Correspondent in the 1950s. After returning to The Straits Times in 1959, he was given a chance to be deputy editor in Singapore. In 1966, an interview with General Suharto of Indonesia made him well-known to the citizens. It seemed natural that with his many contacts in the region made during his years a journalist, he moved on to the next stage of his career as a diplomat.He served as High Commissioner to Malaysia for 7 years from 1973, and went on to become Ambassador to Japan and South Korea. After he retiring from the diplomatic service in 1984, he took up a new post - Chairman of the then Singapore Broadcasting Corporation (SBC). A year later he was appointed as the 4th President of Singapore, determined to make the Presidency as accessible as possible to ordinary Singaporeans. His genuine concern for others and natural warmth touched many lives.Citing to his age, health and Constitutional amendments which provided for an Elected President, Wee Kim Wee retired from the Presidency in Sept 1993. At the time of his retirement, Wee Kim Wee said that it was best for Singapore that a new man was put in place. 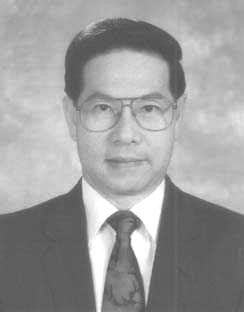 Even though Wee Kim Wee had officially announced retirement to all Singaporeans in 1993, but he remained active in community work after then. In 2004, he wrote his very own auto-biography, titled Glimpses and Reflections. From the royalties and other donations, half a million of Singapore dollars were donated to eight charities. In 2 May 2005, Wee Kim Wee passed away at home from prostate cancer, with an age of 89. Dr Wee Kim Wee's smile, is a smile of hope. Just like Sunshine for growing little wheat, warm cup of tea in the Winter. A smile that we will never forget. With love to Dr Wee Kim Wee. 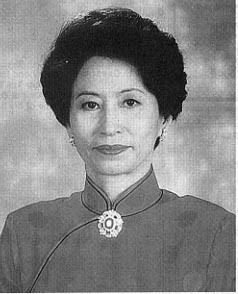 1983 - Appointed as NTUC Secretary-General (until 1993) and appointed as Minister without Portfolio. 1994 - Conferred the labour movement's highest award: The Distinguished Comrade of Labour on 1 May. His citation read: "In the decade that he was NTUC Secretary-General, Mr Ong Teng Cheong transformed the labour movement's dreams, and his own aspirations for workers, into reality - for the benefit of the working people in Singapore"
1998 - Conferred one of Britain's highest honours: The Most Distinguished Order of St Michael and St George, by Queen Elizabeth II, in July. 1998 - Received the honorary degree of Doctor of Laws from the University of Liverpool. Achievement: "One united people, regardless of race, language or religion." S. Rajaratnam was born in 1915 in Jaffna and was grow-up in Seremban, Malaysia, where his father rose from being a supervisor of rubber estates to a plantation owner. He attended the Convent of the Holy Infant Jesus for six months and was transferred to St Paul's, a boys' school. He continued his education in the prestigious Victoria Institution in Kuala Lumpur and then in Raffles Institution in Singapore. In 1937, he went to King's College in London, to pursue a Law degree. There he received his political awakening, became fashionably anti-imperial, anti-British, joined the socialist Left Book Club and became a Marxist. Due to the seriously lack of communication between London and Malaya during the Second World War, meant that Rajaratnam could no longer received money from his father to continue his education. He therefore turned to journalism to earn a living, never completing his degree. 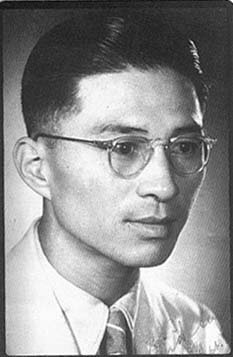 On his returned to Singapore in year 1948, he joined the Malayan Tribune. In 1950, he was appointed as an Associate Editor of the Singapore Standard and held that post for four years. After then, he worked for The Straits Times till year 1959. Soon later, Rajaratnam met Lee Kuan Yew by chance at the Chinese Swimming Club. Recognising that they were both dissatisfied with the prevailing political situation, they arranged to meet to discuss the situation. Rajaratnam became a founding member of the People's Action Party (PAP). In 1959, he resigned his post from The Straits Times to run the Legislative Assembly seat of Kampong Glam. S. Rajaratnam is recognised and recognises himself as the theoretician and ideologue of the People's Action Party. In his own words, "the ideas man," "a public relations man who projects the PAP image." He is also known as a strong believer in multi-racial Singapore. In 1966, with the 1964 race riots fresh in his memory, he wrote the National Pledge containing the words of "One united people, regardless of race, language or religion." He also wrote 'PAP's first ten years', published in the 1964 souvenir publication marking the party's tenth anniversary. This account, the first by a minister and founding party member, has become a classic reference for subsequent accounts of Singapore's history of independence. 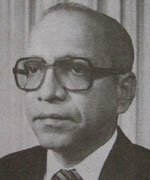 In the Cabinet, Rajaratnam served as Minister for Culture (1959), Minister for Foreign Affairs (1965), Minister of Labour (1968-71) and second Deputy Prime Minister (1973). He was appointed Senior Minister in 1988 after he retired from active politics. And in year 2006, Rajaratnam passed away with an age of 91. Lim Kim San was born in Singapore in year 1916, the eldest son of a merchant. Lim Kim San grew up in an extended family, in a house situated in the middle of a rubber estate along River Valley Road. He was first educated in Oldham Hall School, the Anglo-Chinese Continuation School, then Anglo-Chinese School. The Great Depression was after he left ACS in year 1933. His hope of going to England to pursue a Law degree failed to be realised as his father's business suffered badly and he could not afford to send his son abroad. Lim Kim San did not wish to go to Raffles College, then the only tertiary institution in Singapore. Therefore, he had to join the workforce at the Straits Steamship Company as a clerk. When Raffles College finally started its department of Economics, Lim Kim San enrolled and continued his education. It was then that he first met future Cabinet colleagues such as Goh Keng Swee and Hon Sui Sen. Upon graduating with a diploma in Arts in year 1939, Lim Kim San did not wish to be a teacher, and his results did not give him the opportunity to join the colonial civil service. So, he worked as a pump attendant for a year or two in a petrol station at Finlayson Green, which was owned by his father. He then worked in a sago-processing factory owned by his father-in-law. This early working experience honed his business acumen and contributed to his keen judgement of character after. 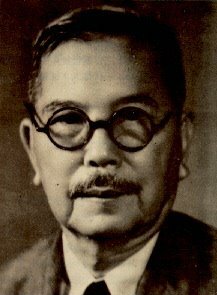 Lim Kim San escaped to Sumatra at the start of the Japanese Occupation in year 1942, but returned to Singapore a week later. He was twice arrested by the Kempeitai and tortured. After the war, Lim Kim San focussed on business, taking over the management of his father-in-law's business and two merchant banks. In 1959, Lim Kim San was approached by Goh Keng Swee, Toh Chin Chye and Lee Kuan Yew to contest the upcoming elections on a People's Action Party (PAP) ticket. Lim Kim San demurred, citing his business commitments, but he drew on his overdraft to fund the PAP campaign. When the PAP won the elections and formed the government, Lim Kim San agreed to serve in the Public Service Commission and chair the Housing Development Board (HDB). He volunteered his service to the HDB for four years - setting policies, managing planners, architects and contractors, slashing red tape to get the public housing programme off to a quick start - all the while refusing a salary till he became a Cabinet Minister in 1963. In two years, the HDB under Lim Kim San's leadership built 26,168 units, the same number built by the colonial Singapore Improvement Trust in 32 years. For his efforts, he was awarded the Order of Temasek - the highest state honour - in 1962. 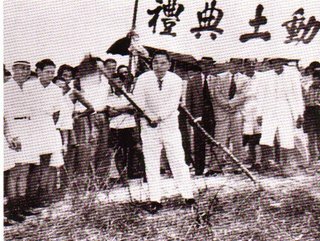 In September 1963, Lim Kim San was persuaded to stand for elections in Cairnhill. He won and was pressed into service as Minister for National Development when two PAP ministers lost their seats. 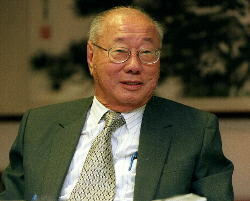 From 1965 till his retirement in year 1981, Lim Kim San held important Cabinet posts. Besides the National Development portfolio, he has been Minister in-charge of Defence, Communications, Environment and Education. He even continued to serve as Minister without Portfolio after he suffered a heart attack in year 1976. As a senior civil servant, he has headed the Monetary Authority of Singapore and chaired important statutory boards, including the Public Service Commission, Public Utilities Boards (PUB) and Port of Singapore Authority (PSA). His contribution to Singapore's infrastructure is far reaching: initiating its land reclamation programme, building reservoirs and successfully negotiating a third water pipeline from Johore. Lim Kim San continues to actively contribute to the PAP, Singapore and its business after his retirement. A keen judge of character, his services have been called on to identify and screen new blood for the PAP. Since 1988, he has been Chairman of Singapore Press Holdings which publishes all of Singapore's newspapers. He is also the Chairman of the Board of Advisors to the Elected President. Lim Kim San's business acumen, practical approach and his instinct about people set him apart from the ideologues of Singapore's old guard. His talent is clearly in business organisation, team building and people management. In that perspective, his enduring contribution to Singapore can be measured by his role as a technocrat and businessman rather than a politician. Year 2006, Lim Kim San passed away with an age of 89. 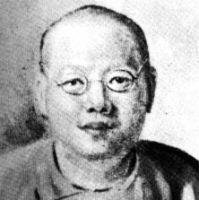 Tan Lark Sye came from the same village as Tan Kah Kee, Jimei of Tong An in Fujian Province. Born into a peasant family of seven of very limited means, and orphaned young, he had little chance of an education before he made his way to Nanyang in his teens in 1916 together with his brothers. After reaching Singapore, he worked in one of Tan Kah Kee’s factories, and within half a year he was promoted to a responsible position in the elder Tan’s Khiam Aik (Qianyi) company. Not long after, he left the company to set up with his brothers a rubber enterprise which, however, lost half its capital in a year. After several years of struggling by oneself, he built up his own Aik Hoe (Yihe) rubber company and became one of the leading rubber industrialists of the region. He expanded his business to all parts of Malaya, Thailand and India, and diversified into insurance, paper and cement industries. His career as industrialist met the peak in the 1950’s when his company reaped huge profits from the rising rubber price. He, himself was also an activist, and like other Chinese entrepreneurs of his time, believed in the value and importance of education. As chairman of the Chinese Chamber of Commerce in the 1950’s, he fought for citizenship for the Chinese of Singapore and for the Chinese language to be counted as one of the official languages. As the respectful chairman of Hokkien Huay Kuan (Hokkien clan association) he developed many schools under the auspices of the association: Daonan, Aitong, Guanghua, Nanqiao and Chongfu. He also contributed to financing the Jimei schools founded by Tan Kah Kee. In 1957 he donated considerable sums to Thailand’s Hokkien clan association to build overseas Chinese schools. His contributions to education, however, were not confined to Chinese schools. In 1949 when the University of Malaya was set up he gave it $300, 000, and between 1950 and 1960 he contributed towards the building fund of schools of different language media. His most outstanding contribution, however, was the initiating of the founding of Nanyang University of Singapore. He personally donated a sum of $5 million to its building fund, as well as 523 acres of land for its campus on behalf of the Hokkien Huay Kuan. In the period 1953 – 1963 he was appointed as the Chairman of Nanyang University’s Executive Committee, and gave both effort and money to look after various aspects of the university – building, teaching staff, research facilities, library, student welfare and others. The founding of Nanyang University was a highly significant act for the Singapore Chinese community. Chinese from all walks of life donated towards its building fund. It had an effect on Chinese education in the region and beyond. One may say the setting up of a Chinese Studies department in Ngee Ann College, the University of Singapore and the University of Malaya stemmed from it. The establishment of the Chinese University in Hong Kong, the Overseas Chinese Chongsheng University in Thailand and the Southern College in Johore, Malaysia, may also have been inspired by the ideals underlying the founding of Nanyang University. Tan Lark Sye died in 1972 at age 76 and in 1974 a Tan Lark Sye scholarship was set up, and in 1998 the Tan Lark Sye professorship in Chinese language and culture was established to honour this peasant boy from China made good. Lee Kong Chian was born in Nan Ann, Fujian province, into a family of tailors in 1893. He came to Singapore when he was 7, but returned to China to study at the university. On his return, he became an assistant surveyor before resigning and entering the world of commerce, joining the Tan Kah Kee Rubber Company. He also became vice-chairman of the Chinese Commercial Bank and was a key figure in the merger of Chinese Commercial Bank, Ho Hong Bank and Oversea-Chinese Bank. The merged entity, Oversea-Chinese Banking Corporation (OCBC), was formed in 1932 and Mr Lee was its chairman from 1938 to 1964. In 1931, Mr Lee started his own business, buying thousands of acres of vacant land and turning them into rubber and pineapple plantations. During the '30s, he became known as the leading rubber baron. He placed great emphasis on education, which has been reflected in the many donations made by Lee Foundation through the years. In 1962, Mr Lee became the first Chancellor of the University of Singapore. Lim Bo Seng (林谋盛) is a national hero in Singapore for his resistance to Japanese forces during World War II. A native Chinese who moved to Singapore as a child, Lim led efforts to raise funds to help China fight Japanese invasion in the late 1930s. 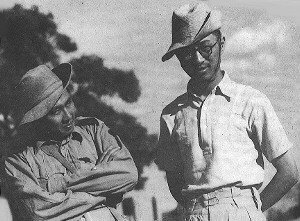 When the Japanese captured Singapore, Lim escaped to India and joined Force 136, a group of resistance fighters organized by the British. He was captured after infiltrating Japanese territory in 1944; despite punishment and torture, he refused to reveal the names of other resistance fighters. He died in captivity, becoming a martyr to the cause of Singapore. Tan was a prosperous Singapore businessman of the early 1800s, known particularly for his generosity to the poor. He contributed heavily to the 1844 construction of a new hospital for the indigent, which was then named Tan Tock Seng Hospital. After Tan's death in 1850 his son Tan Kim Ching continued the family's support for the hospital, which continues as one of Singapore's most prominent medical centers. In 1844, he contributed $5,000 to the construction of the Tan Tock Seng Hospital on top of Pearl's Hill. The hospital was later shifted to Tan Tock Seng Road because the building at Pearl's Hill was too small to cater to enough patients and it was too old. Tan also contributed money to the construction of the Taoist Thian Hock Keng Temple at Telok Ayer in 1842, the place of worship for the settlers from the Fujian province of China. Starting from today, this blog of mine will be used to document histories/stories/myths of all our Singapore's Pioneers (from past till now). For those who like to find out more on our Pioneers/forefathers, this will be the blog that they can discovered something. In here, I'm willingly and openly welcomed all comments and suggestions. Hope that, with more constructive comments and suggestions, we can share and learn more from here.